Our call is to bring grace to both the church and the world because we know that grace is for both the believer and the unbeliever. Would you like to go to Honduras? Please visit www.hondurasfountainoflife.org to learn more about this ministry or contact Jim Pearce, . Thank you to all who supported our Global Missions Fair 2018! Click here read more about our 2018 Special Projects. We believe that in Christ all national and cultural divisions can be overcome and will one day disappear. Since we believe we are one in Christ and that all are equally valuable before God, in our mission work we represent Christ and His kingdom, not America or evangelical western sub-culture. Christ's incarnation is our pattern - we leave our 'heaven' to enter another world. Though we may never leave our culture completely, we can value others and work for unity in Christ. We cannot compromise the core message of the gospel, but we are called to translate that into the new cultures God calls us into. Relationships are central to our calling, to the way we work together with others in missions, and to those we seek to draw to faith. Relationships are a tangible way we express the love that comes from our faith. 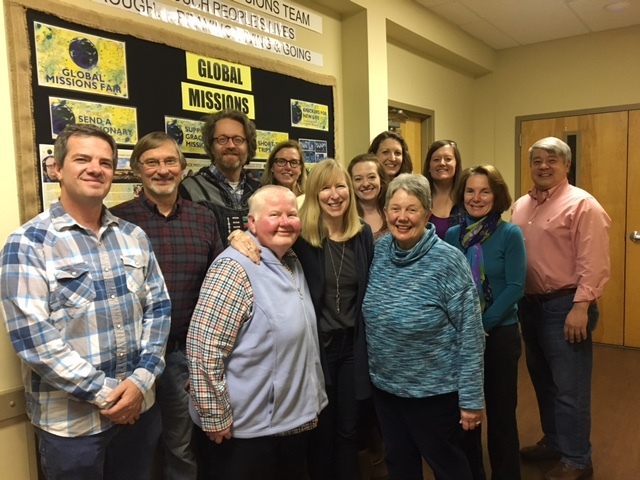 In mission work we are committed to loving others by working in teams, sharing ministry with other denominations and boards as an expression of our unity in Christ and building partnerships with indigenous leaders where we work as students, peers and servant leaders to strengthen local works. Missions is done in many ways with many strategies. Often mission workers, national pastors, and boards tend to 'compete' for affection and money by claiming that their way is best, exclusive or is what God is currently doing. Grace is committed to a unified rather than a competitive approach. Grace supports short-term workers, missionaries, boards and national pastors/workers. We believe that mission work can best be done when each kind of effort cooperates with each other and ideally has some functional and supportive relationship. Helping create multiple church plants and discipleship programs. Connecting with locals using culturally appropriate art, music and literature to build lasting relationships. Helping to build schools and provide tuition and supplies for students in Honduras and Uganda.